Welcome to the Online Edition of the #1 feature of our quarterly newsletter. Since the inception of James E. Lee's Philately in 1997, Jim has been forthright in expressing his views and opinions on the present and future state of the stamp collecting hobby. 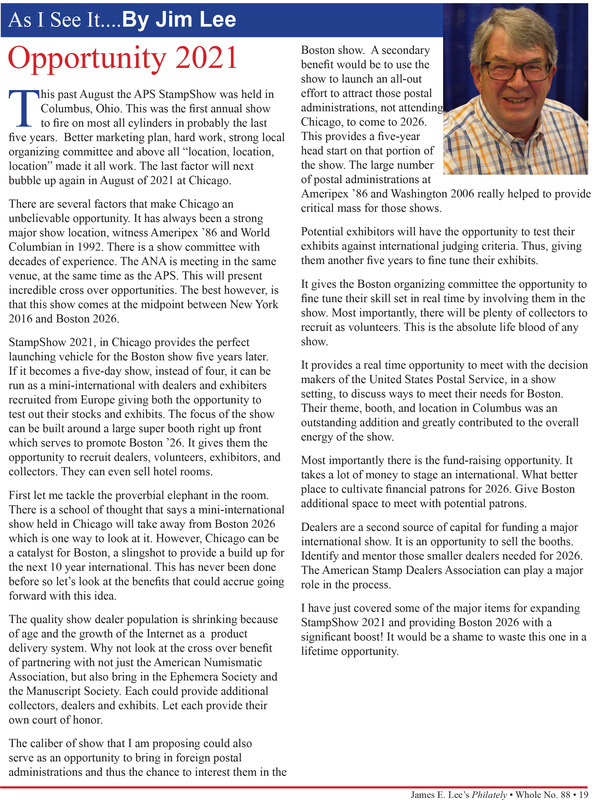 His insight into the many issues facing philately is, four times per year, encapsulated into the "As I See It..." column on page 19 of the newsletter. At right are direct links to the most recent "As I See It..." columns from Jim's newsletter. What will philately look like in 20 years?